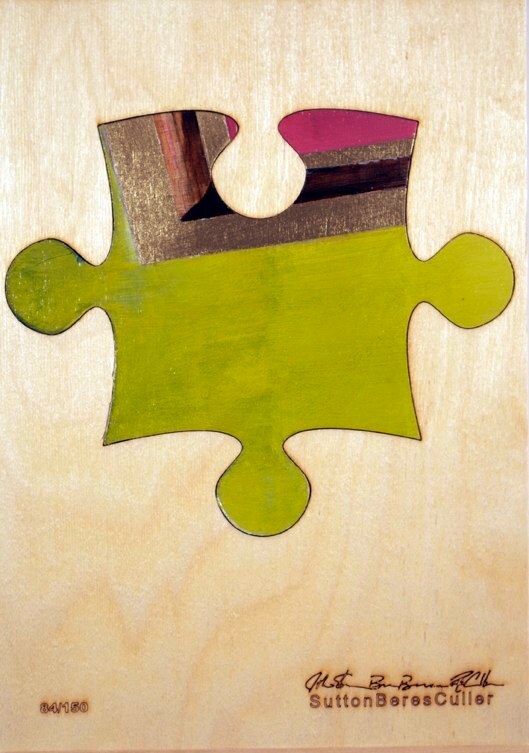 A large, singular painting broken into its constituent parts. 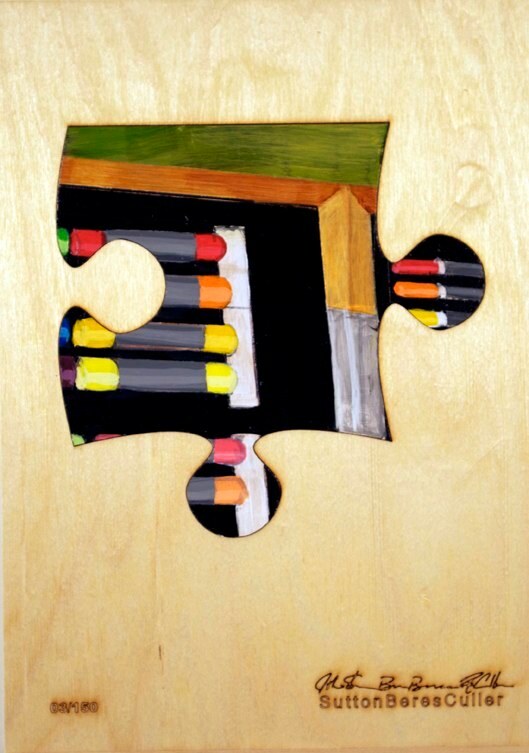 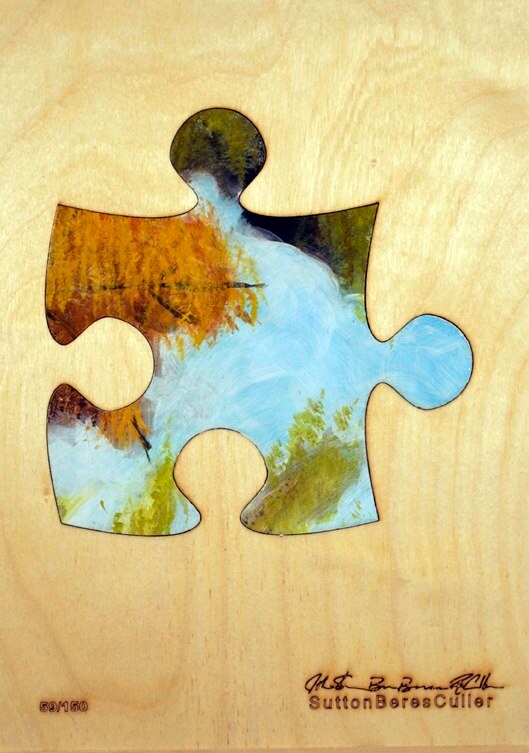 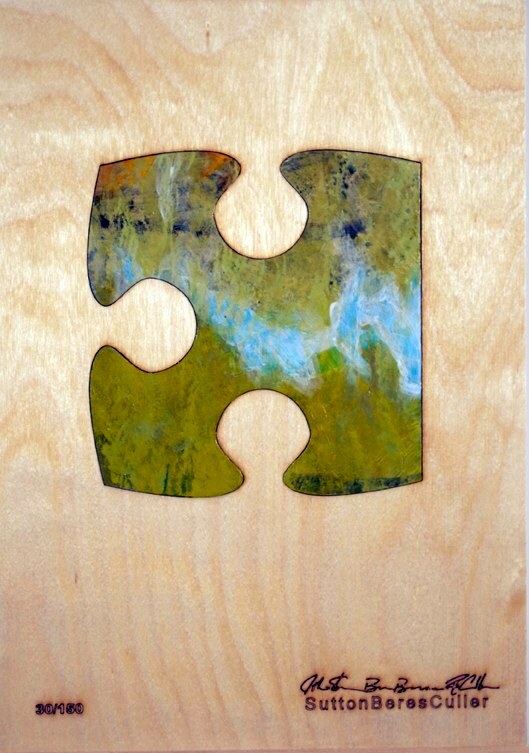 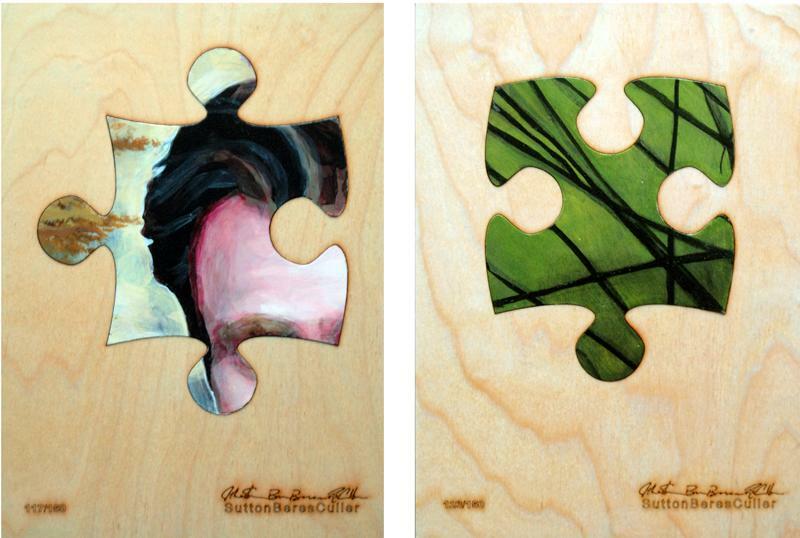 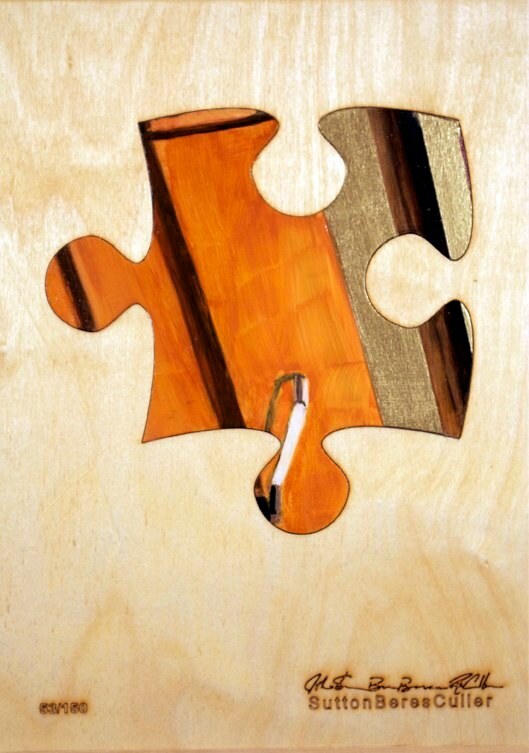 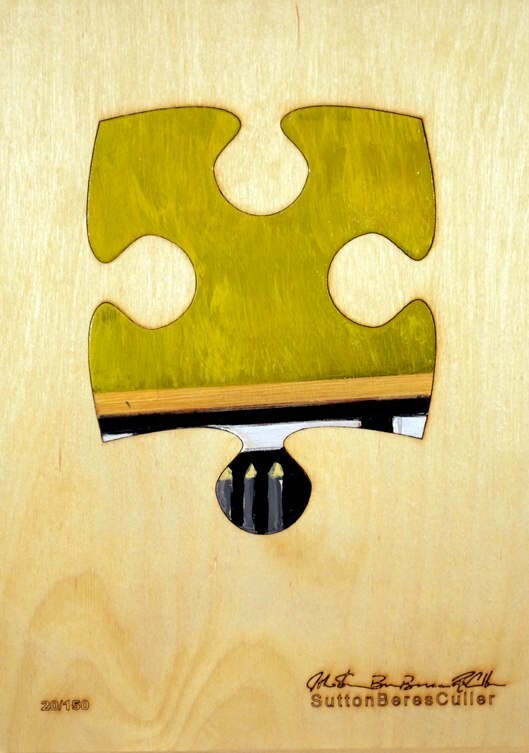 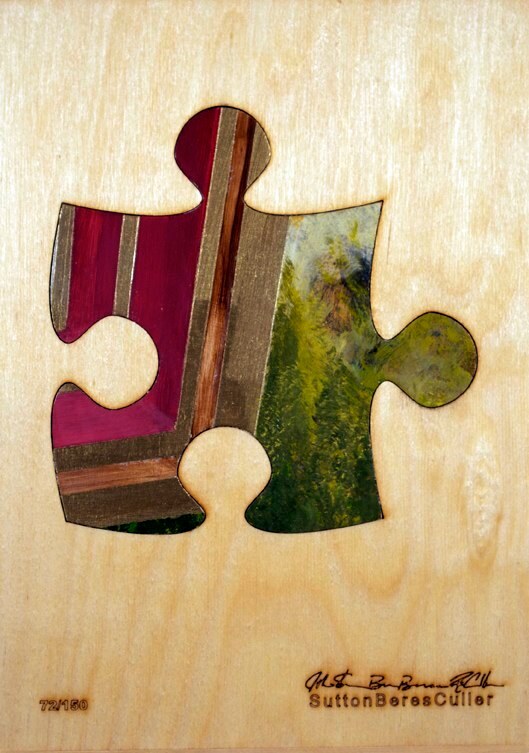 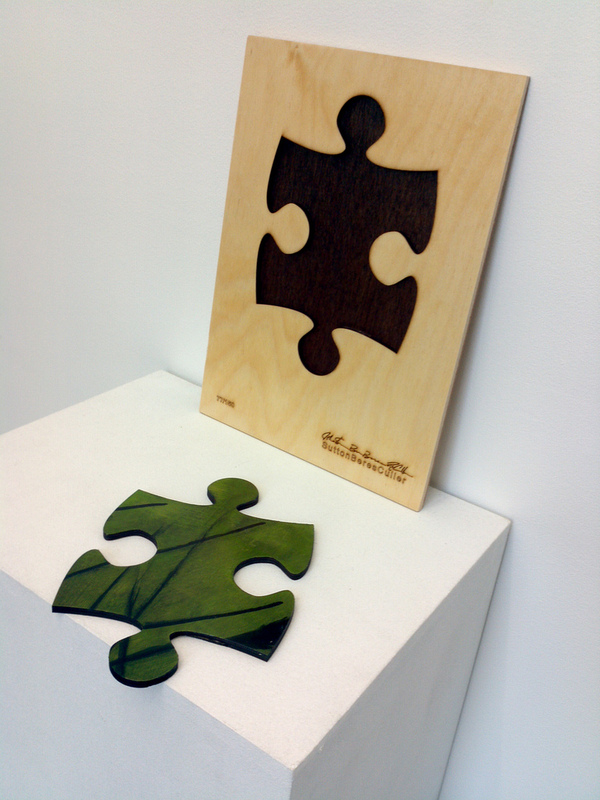 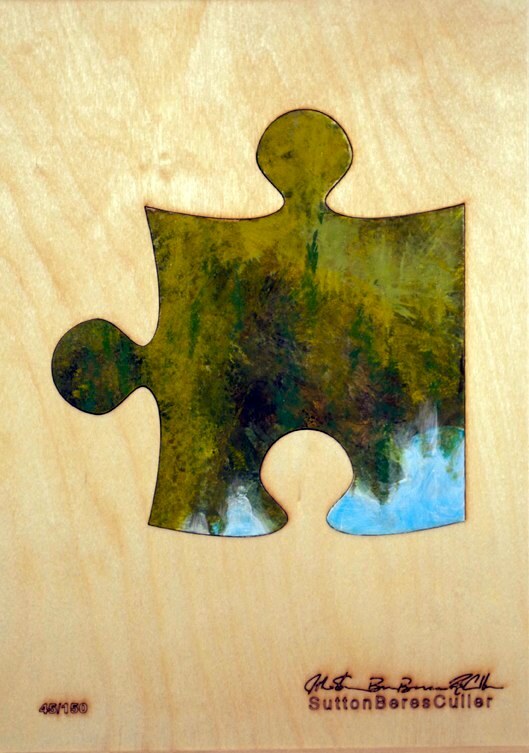 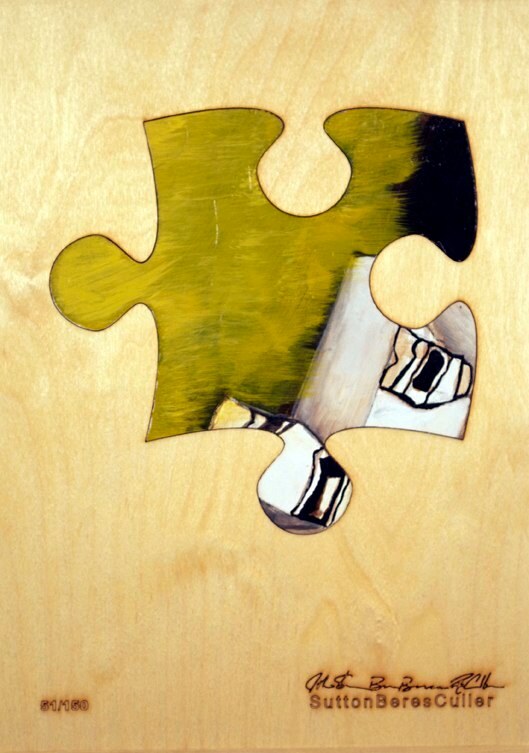 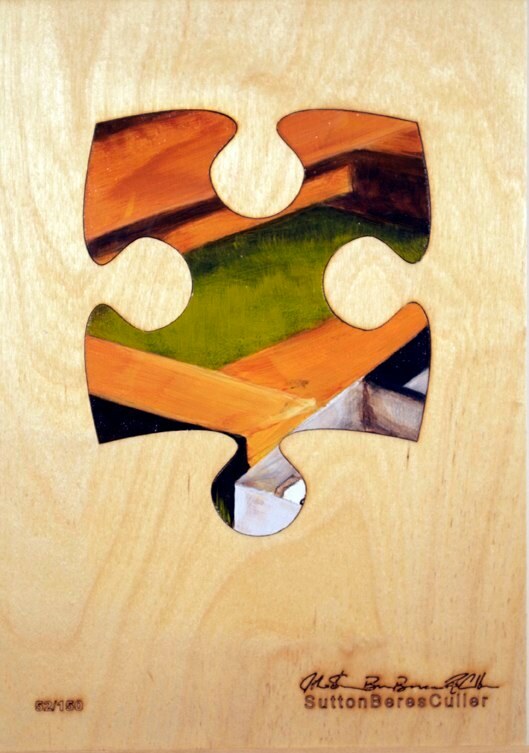 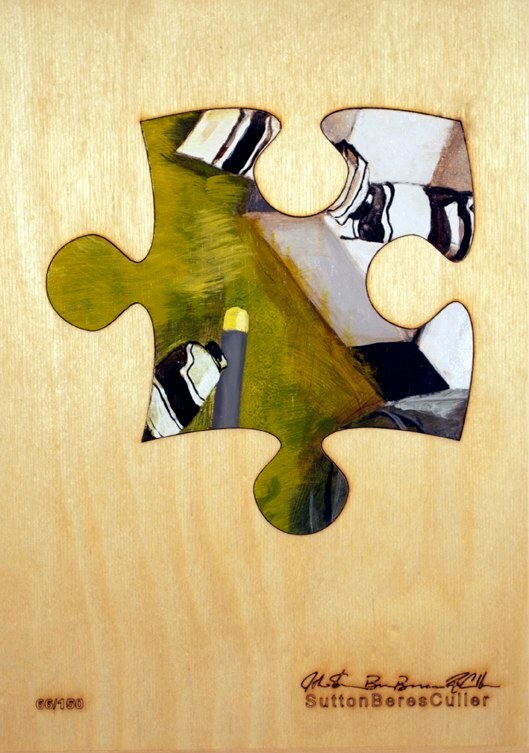 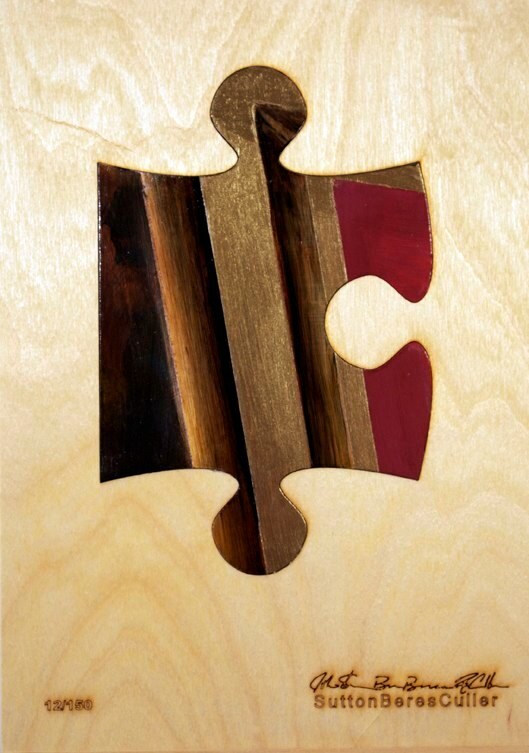 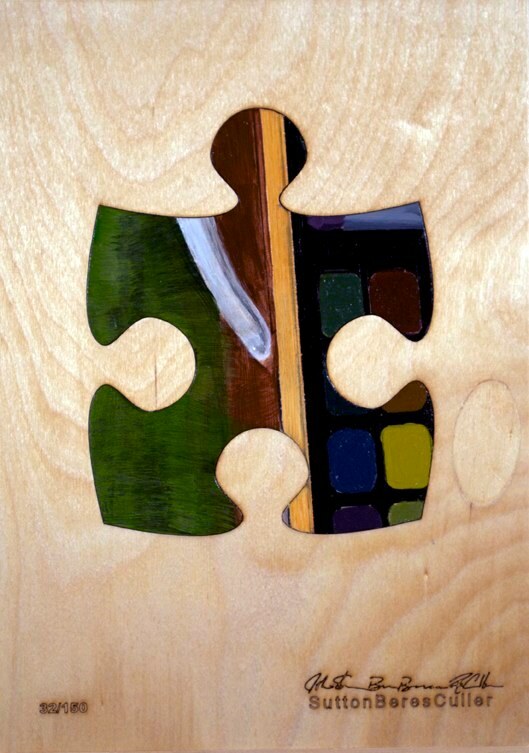 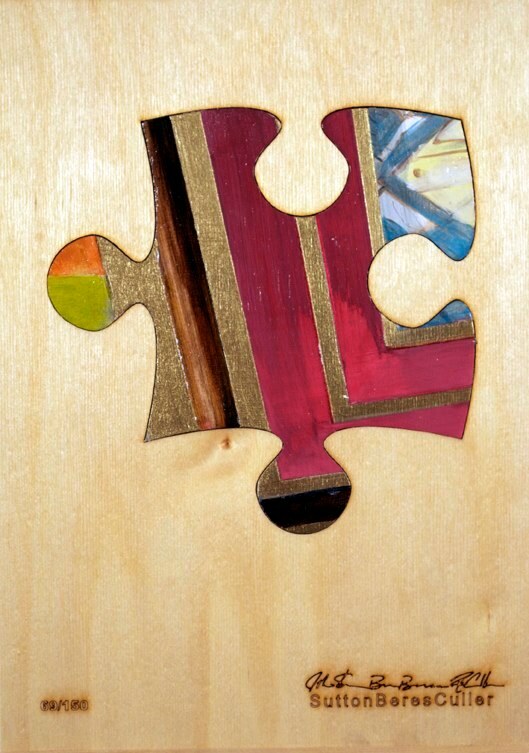 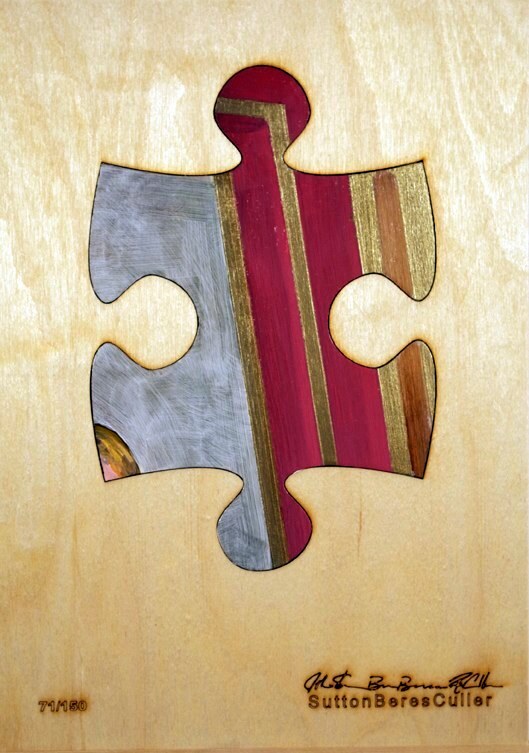 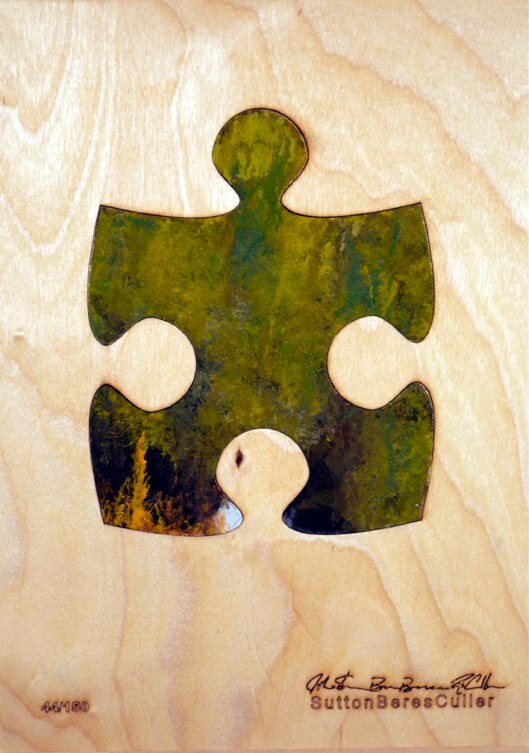 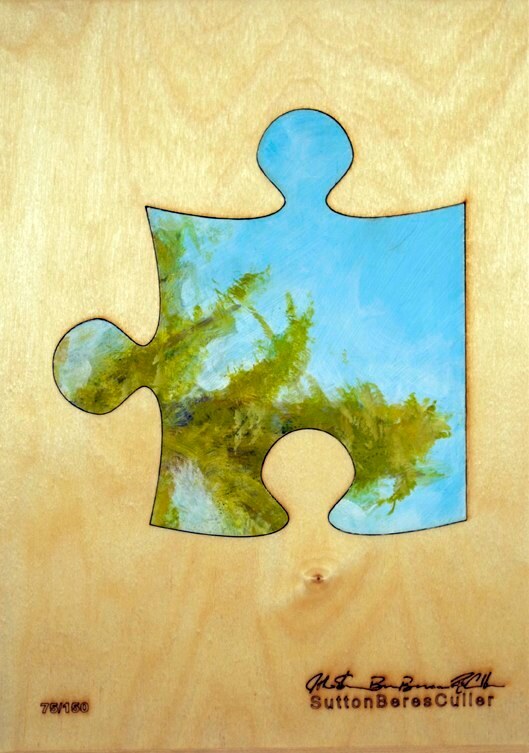 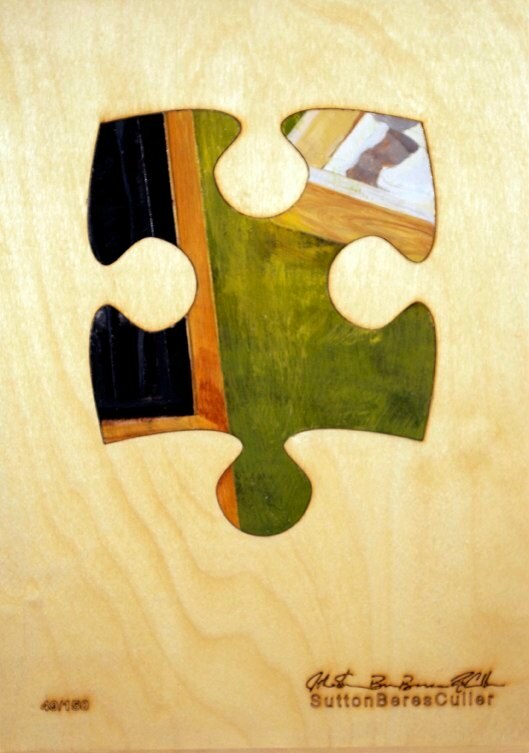 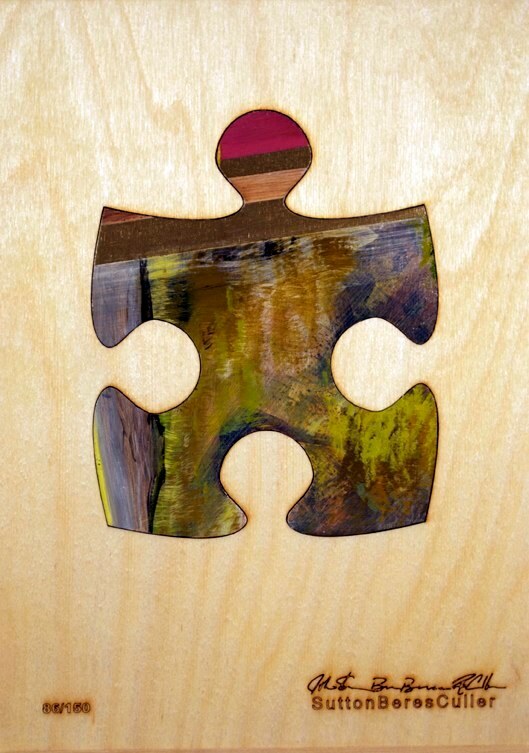 Each puzzle piece was laser cut from a wooden blank, assembled as a whole and then painstakingly painted. 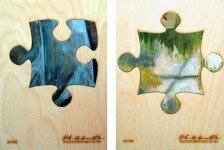 Now the pieces are presented in the Gallery on long stacked shelves with each 7 x 7 inch piece being shown as its own unique whole, whether completely abstract, landscape, still life, or partially figurative. 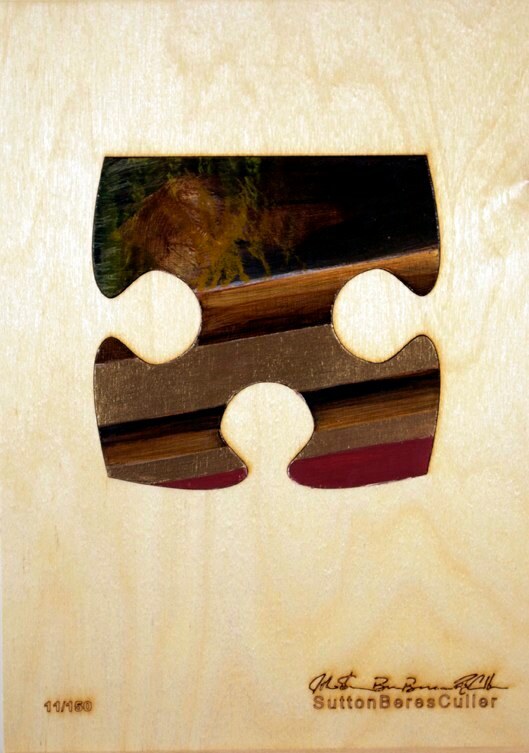 Viewers (and even the Gallery itself) will not know what the complete image is until 10 years later when the work is reassembled and exhibited as a whole for the first time.